The purpose of this statement is to encourage responsible gift planning by urging the adoption of the following Standards of Practice by all individuals who work in the charitable gift planning process, gift planning officers, fund raising consultants, attorneys, accountants, financial planners, life insurance agents and other financial services professionals (collectively referred to hereafter as "Gift Planners"), and by the institutions that these persons represent. 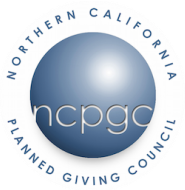 This statement recognizes that the solicitation, planning and administration of a charitable gift is a complex process involving philanthropic, personal, financial, and tax considerations, and as such often involves professionals from various disciplines whose goals should include working together to structure a gift that achieves a fair and proper balance between the interests of the donor and the purposes of the charitable institution. Compensation paid to Gift Planners shall be reasonable and proportionate to the services provided. Payment of finders fees, commissions or other fees by a donee organization to an independent Gift Planner as a condition for the delivery of a gift are never appropriate. Such payments lead to abusive practices and may violate certain state and federal regulations. Likewise, commission-based compensation for Gift Planners who are employed by a charitable institution is never appropriate. A Gift Planner acting on behalf of a charity shall in all cases strongly encourage the donor to discuss the proposed gift with competent independent legal and tax advisors of the donor's choice. Although Gift Planners frequently and properly counsel donors concerning specific charitable gifts without the prior knowledge or approval of the donee organization, the Gift Planners, in order to insure that the gift will accomplish the donor's objectives, should encourage the donor, early in the gift planning process, to discuss the proposed gift with the charity to whom the gift is to be made. In cases where the donor desires anonymity, the Gift Planners shall endeavor, on behalf of the undisclosed donor, to obtain the charity's input in the gift planning process. The Gift Planner shall make every effort to assure that the donor receives a full description and an accurate representation of all aspects of any proposed charitable gift plan. The consequences for the charity, the donor and, where applicable, the donor's family, should be apparent, and the assumptions underlying any financial illustrations should be realistic. Adopted and subscribed to by the National Committee on Planned Giving and the American Council on Gift Annuities, May 7, 1991. Revised April 1999.